Tehran basically disapproves of appointment of the United Nations’ special rapporteurs on the situation of human rights in Iran, Foreign Ministry spokesman underlined, saying what is more ridiculous is that Saudi Arabia assigns such rapporteurs. 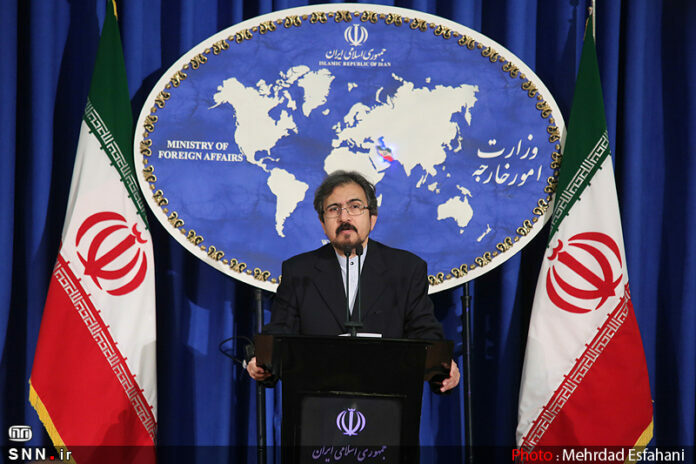 “We have been principally opposed to the appointment of (UN) rapporteur on Iran,” Foreign Ministry Spokesman Bahram Qassemi said at his weekly press conference on Monday, in response to reports that Pakistani human rights activist Asma Jahangir will succeed Maldivian diplomat Ahmed Shaheed as the UN Special Rapporteur on the situation of human rights in Iran. “The historical irony is that the human rights rapporteur on Iran is appointed with the endorsement of Saudi Arabia, which is a child-murderer regime,” Qassemi deplored. The spokesman also bemoaned the fact that those UN officials receive information from “inauthentic sources” that are hostile to the Islamic Republic. In June 2011, the UN Human Rights Council, under pressure from the US and its allies, named former Maldivian foreign minister Shaheed as its human rights investigator on Iran. On March 24, 2016, he was appointed to the position for the sixth year. Tehran insists that the appointment of a UN special rapporteur on Iran’s human rights situation is a selective, politically-motivated and unacceptable move.